Email Automation Microsoft Flow – I have a private Outlook.com email account. It is a good idea to separate your personal and work email accounts. The problem is, the emails never get easier to manage. This post will discuss the automation of an Outlook.com email. In particular, it will show you how to save important attachments to your Dropbox account. 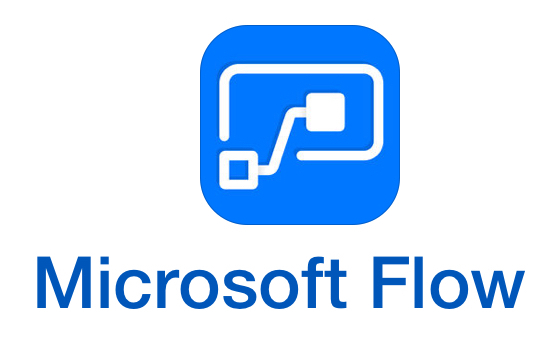 The automation software we will be using is Microsoft Flow. You will need to create an account in order to start. Start by creating a new blank flow. If you need to explore other flows, you can try creating a new flow from a template. Clicking on that will display all the available triggers for Outlook.com. Select When a new email arrives. This will add the trigger to your flow. Clicking on the three dots on the trigger will allow you to add more outlook.com connections. You will now need to click on the Show advanced options link. This allows you to configure your trigger. This trigger will only act on emails from a specific email address that has an attachment. It also only acts on the email if it has a specific subject line. The next step you should take is to add a new action. Search for Dropbox and click on the Create file action. As before, click the three dots on the action and modify your Dropbox connections. You can then select the Dropbox folder you want to save the attachment to from the folder path setting. You now need to specify the file name for the attachment to save to your Dropbox folder. This is where Dynamic content comes into play. The steps you want to follow are marked in the screenshot below. After selecting the Attachment Name dynamic content in step 2 below, the flow will change to an Apply to each. Steps 3 and 4 are then replaced by an Apply to each. Microsoft Flow does this automatically. This is to cater for multiple attachments in your email. To continue, select the File content text box and select the Current item Dynamic content. Once you have done this, click on the Save button. Trigger emails usually run every 15 minutes. Let’s have a look at the run history. Because the flow is automated and has now GUI that you can control, you need to make use of the tools in the Flow automation software to see the status of the new flow. To do this, open the flow and click on the Run History section. Under the All runs dropdown, you can see several options available to you. Start by looking at the Checks (no new data) option. This will show you the times that the flow ran but found nothing to process. Look at the time of the no new data runs and then send yourself an email as configured earlier in the email trigger. Wait 15 minutes and then check your Dropbox folder. After 15 minutes, you will see the successful notification under the Successful runs history. If you see a failed entry when selecting Failed runs, then you need to see where your flow is failing. Looking at the folder where my Dropbox syncs to on my PC, I see that the statement has been saved to my Dropbox folder and synced. There is however a problem with this flow. It will only work with the first email it receives. Thereafter it will fail. The reason for this is because the attachment being saved to Dropbox will conflict with the previous attachment’s file name. Have a look at the article on Debugging Microsoft Flows to see how to resolve this issue. The next cool life hack using simple technology hacks is automating a Trello board. I want to update my work items on DevOps as well as my personal Wunderlist to-do list. Let’s have a look at exactly how this would work.